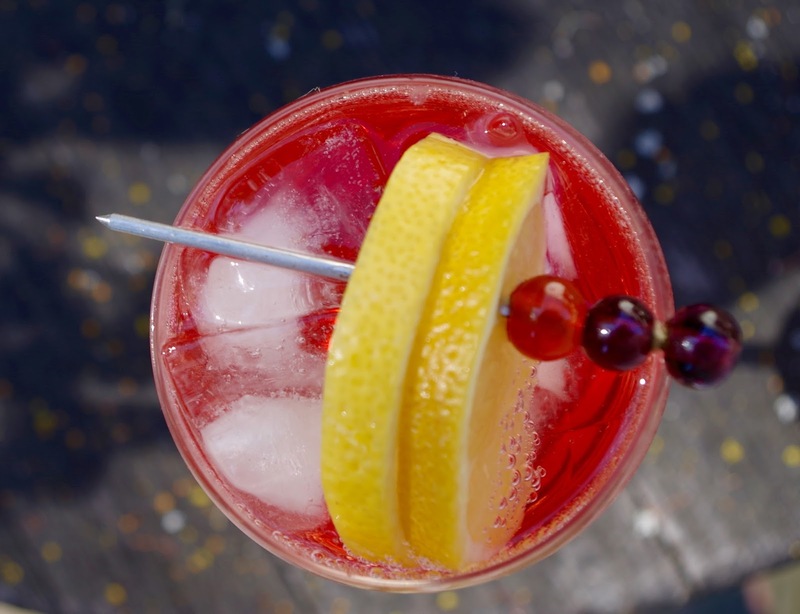 Who knew there were so many apertivo subcultures in Italy? Talia Baiocchi and Leslie Pariseau, that's who. 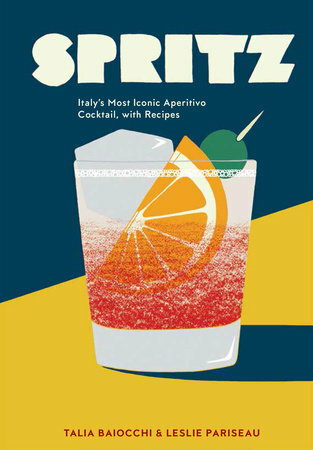 This breezy little bar-cart book from Baiocchi and Pariseau tours you through those sub-cultures, and our authors bring you to the other side where you, too, can sip on a spritz on your own (Italian or otherwise) veranda. However, I would recommend this compact book for your next Northern Italy vacation or a gift for your most enviable friend who is about to embark on said vacation. Baiocchi is the editor of the drink site Punch, which publishes fabulous narrative nonfiction on wine, spirits, and cocktails. Pariseau is the site's former deputy editor. These two know their libations, and they put that knowledge to the test when they road-tripped through northern Italy in a Fiat 500 researching the regional spritzes. What I want to know is why they didn't invite me. 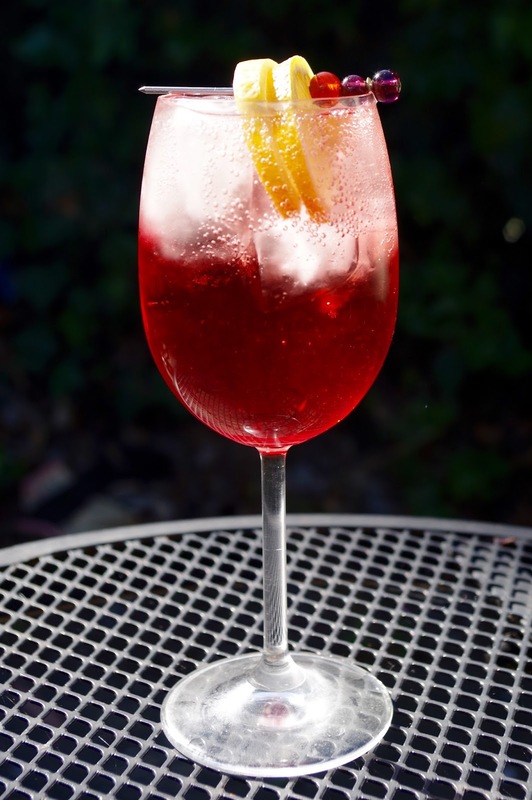 Effervescent: The name spritz comes from the German spritzen meaning "to spray." You need bubbles. Period. 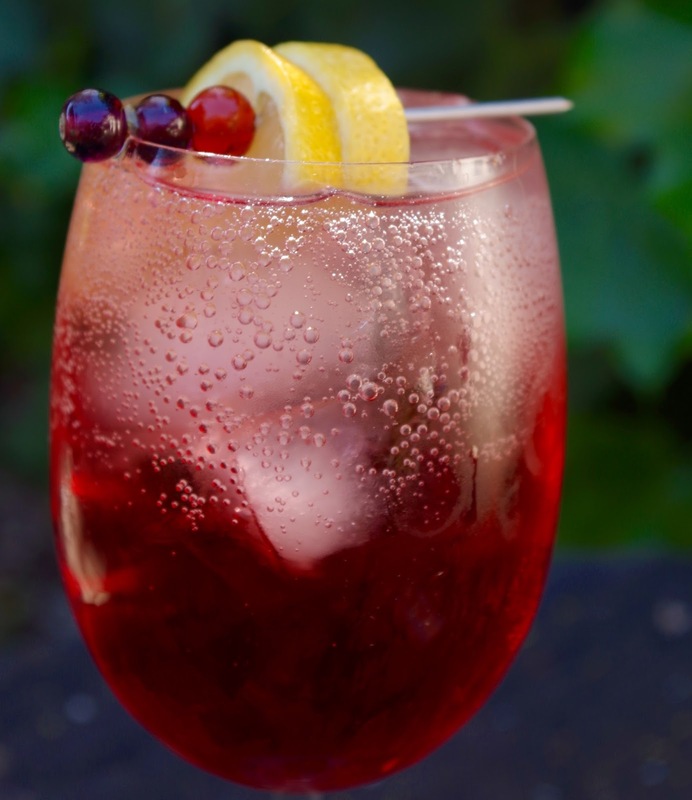 Low Alcohol: This is a beginning of the evening drink. Cool your jets. 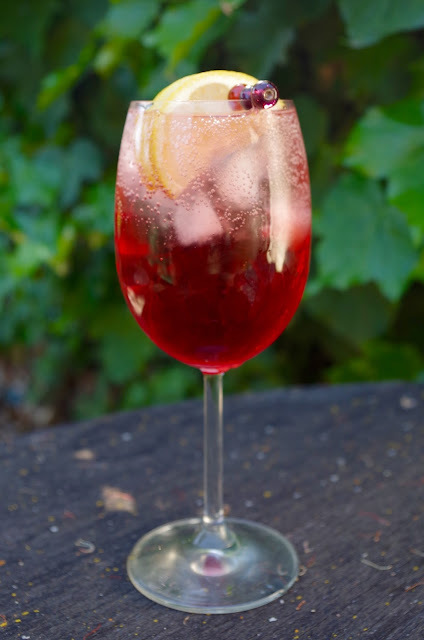 Bitter: As the spritz is to be consumed in the pre-dinner hour, the bitterness is intended to "open the stomach." Prepared with a smashing wine, a dash of something bitter (Aperol, Campari, Cynar), usually a little citrus, and topped with sparkling water or a bubbly wine, the spritz is served in a lowball, martini, or a wine glass--your choice. The whole point is that it's a laid-back look on life. So don't get too hung up on the particulars. 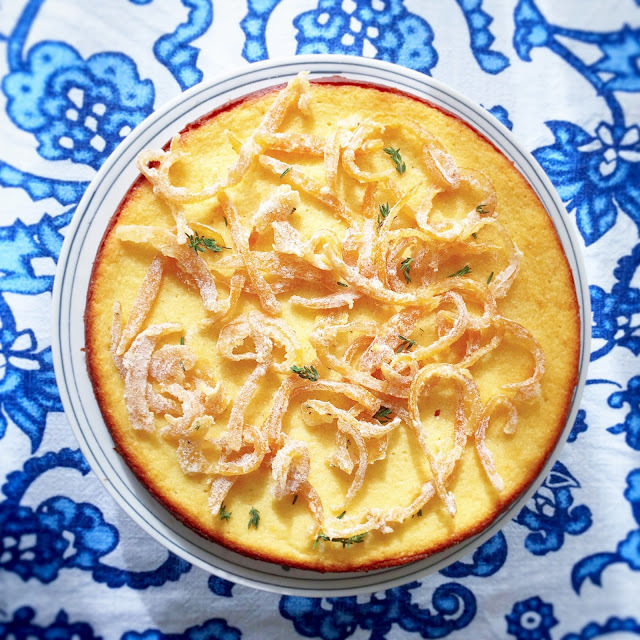 I decided to choose something simple and classic, something for which I had all the ingredients on hand--The Bicicletta. Our authors claim that it is so named after the preferred mode of transportation in which its drinkers toddle home after several drinks. I claim that this is such a sweet little drink, worthy of an afternoon plaza-side pool-side, table-side, or our case, ivy-side. 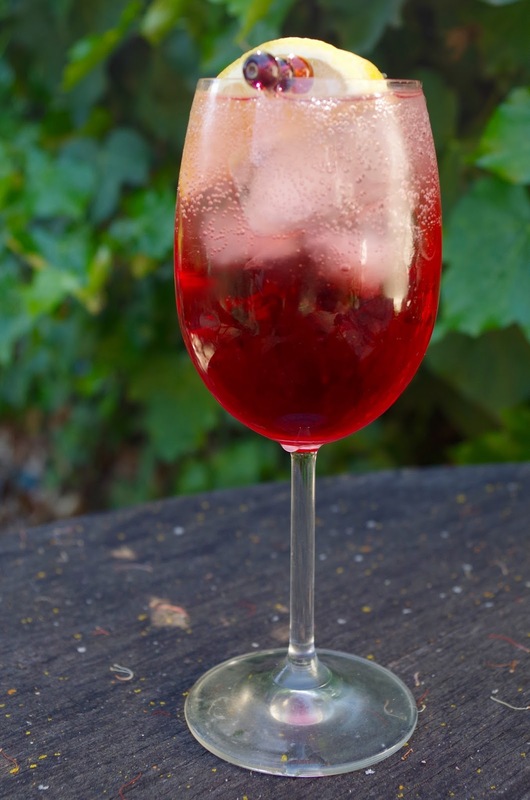 At the conclusion of the book, our faithful authors give us a smattering of bar snacks to marry to our spritzes, reminding us that in Italy, one does not knock back a drink nor does one sip without a little nosh. So let's slow down, take it all in, and delight in the blue hour between the late afternoon and dinnertime. Spring and some early backyard sitting is officially here (even if one needs to wrap oneself up in blankets to do so). 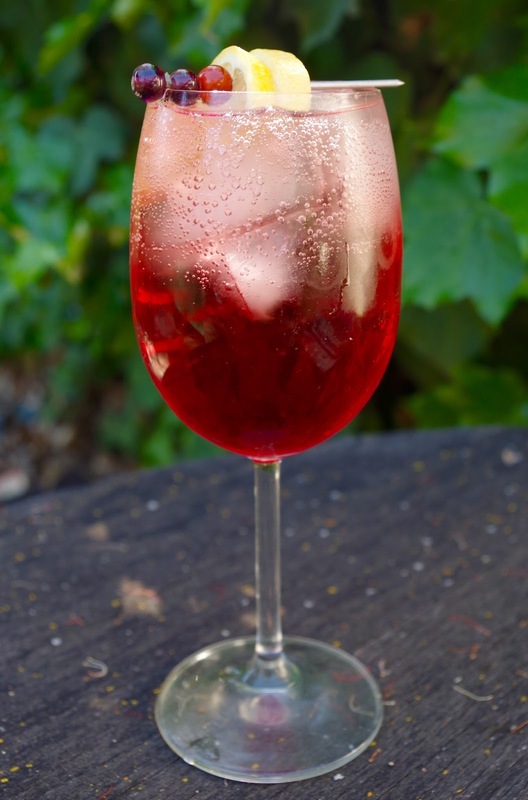 Build the ingredients in a wine glass over ice and add the garnish.